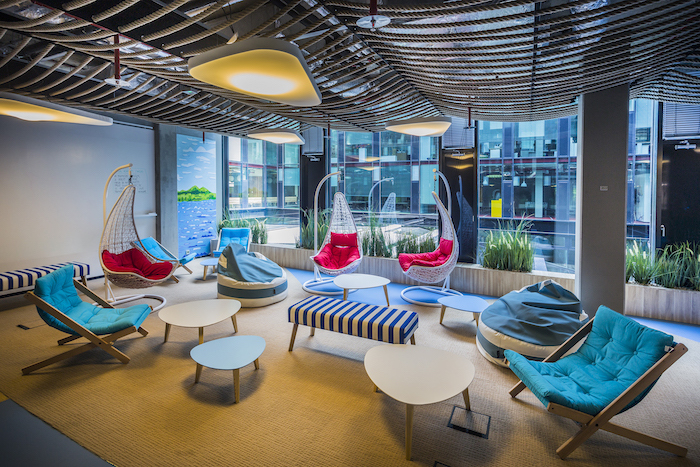 In an exclusive tour of Home Credit’s (HC) operations in Prague, Banking Technology met seven staff members and learned about its retail challenger Air Bank, P2P lender Zonky and Home Credit Venture Capital (HCVC). Picture in your mind a map of Europe. Sitting at the heart of the continent is the Czech Republic – the birthplace of HC in 1997. Now expand outwards from Europe to show the entire world and see that HC is active in ten countries, including Russia, Kazakhstan, China, India, Indonesia, Philippines and the US. The consumer finance provider has grown to occupy large swathes of the globe with a diverse range of operations and activities. HC sees itself as the “world’s biggest fintech” and its goal is to lend to people with little or no credit history. A major shareholder is PPF, a privately held financial and investment group owned by billionaire Petr Kellner. Things are going well. HC has €21.8 billion in total assets, a net loan portfolio of €16.4 billion and a healthy net profit in H1 of €40 million. Around the world it has 130,800 employees. On my visit to Prague I met seven of them. These aren’t people who’ve spent their whole lives at HC. Some are former bankers, while others were entrepreneurs. It is a fascinating mix – and their knowledge and interest in China and India shows not only a great understanding of those nations but where it sees the firm’s future. Air Bank was created in November 2011 as HC saw a gap in the market for consumers. Its approach was to ask “what do people dislike in a bank?”. For example a typical contract is 12 pages long, it’s trimmed that down to one page. It makes thing less formal and removes petty rules. If you want to bring your dog or eat your ice cream in the branch, feel free. In fact, the bank had some amusing photos showing people taking advantage of these rules – such as one guy with a gigantic potbellied pig happily sat on the floor in a branch. Jana Karasová, the bank’s PR spokesperson, says its research found that the traditional players were “mysterious, arrogant and monotonous”. It’s the opposite. Air Bank doesn’t make money from banks fees – it profits from consumer loans and mortgages. Its price list is kept simple at 250 words. Karasová cited one traditional bank which has a contract of 11,972 words. That’s almost a novella. Air Bank is a challenger – and its customers can also be a challenger. This means a user can dispute any bank charge three times a year. Within the app is a trash symbol – which is used to bin a charge if perceived as unfair. Think of a broken ATM, which means the individual has to find and use another one which charges a fee. The person challenges that and gets a refund. While it’s a digital bank, Air Bank does have 35 branches across the country. I visited one of these branches, and as the name suggests, it had a light and breezy look. It was spacious, with an energetic green décor, and the assistants don’t sit opposite the clients. The desks mean the customers sit next to them – they see what the assistant sees to break down any barriers. Air Bank feels the branch has plenty of life yet. 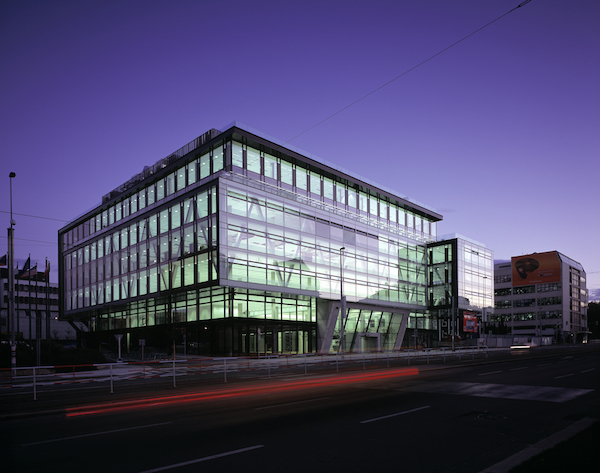 Karasová states that 79% of its new customers come through the branch. They walk in, like what they see and decide to open an account. Jakub Petrina, CMO of Air Bank, also came over to the branch to have a chat. 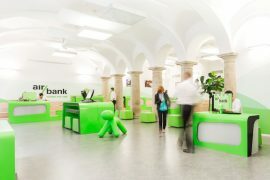 Air Bank is only in the Czech Republic for now – with 650,000 customers – but Germany could be next and within 12 months. Zonky sounds fresh and different. And that’s the plan. It was founded three years ago and its office is located away from HC. The idea is to create a separate culture where its approximately 150 staff can work. The vibe is certainly less corporate. The firm lets people lend to people – and those seeking loans can tell their stories to try and get the investors on board. Investors can get a 3.5% to 5% yield. Zonky is proud of its net promoter score of 82 and that loans get approved within two days. It has a community of 50,000 Czech users. Here people can share experiences and advice. For example, a person may well be looking for money so he/she can set up a coffee shop. They ask people who did it; and the success is passed onto the next wave. Currently Zonky does 2,000 loans per month. It is targeting 400,000 users by 2028. In a video call with the CEO, Pavel Novak, who was in San Francisco for an event, he says while there are P2P firms like Zopa and Lending Club, “we have a community and we don’t see them doing it”. Looking ahead, IT is its biggest department and tech investment is going to be a €5 million spend next year. He envisages seeing €20 million spent over the next few years. The Zonky office already has space ready for new IT recruits – as I saw first-hand. Next year, he wants to double business again and look for 10% of the market share. Because HC is the business of lending, risk management plays a huge part. Radek Pluhar, group chief risk officer, feels “HC is nicely expanding and life is good” because it’s found its niche. It would be hard to argue with this based on its geographical reach, 29 million customers and the stats mentioned above. HC can make customer decision loans in one minute – and six million such decisions are made a month across the globe. And that’s not counting holidays – such as Diwali or Christmas. As the company has expanded, Pluhar explains it can now cross sell to a “safer group of people” – and 20% of its customers do take loans that way. We met in person but Pavel Krbec is the group head of online. He feels “HC has mastered the offline world” but recognises how things have changed. For instance, it partners with Russian e-commerce firm Eldorado. They have created a marketplace “so you can browse a catalogue like Amazon”. During our meeting I saw it on a mobile phone. It was an easy-to-use UI. Krbec says it was created one year ago and at present “thousands of contracts” are closed every week. To get a loan is simple – there are five fields to fill out online – and the decision to authorise the loan is instant. During the tour, quite a few people mentioned Kaggle – a Google-run platform and community of data scientists and machine learners. Krbec says HC had a record 7,200 teams compete to work on a computational challenge via this platform. The idea was for these teams to use anonymised data to predict who will default on paying back a loan. This was HC’s clever way of outsourcing an innovation lab. For Home Credit to be successful in the fast-growing markets it operates in, it needs to be driven by innovative thinking. Mel Carvill, group board member and chief officer for public affairs, runs programmes to help young managers realise their potential. At the heart of this thinking is that in less predictable emerging markets, the need for buffers and adaptive capacity increases. My final interview was with Miroslav Boublik, managing partner of HCVC and head of special projects at HC. HCVC has three projects. Nymbus, a cloud core banking provider; Barion – a payments gateway in Hungary; and Eureka.ai, a Singapore-based firm that uses telco data for monetisation. These are all minority investments. In his other role, HC wants to push on with open APIs. This was “inspired by open banking in the UK” and he wants HC to participate in the ecosystem. This will make it easier to work with larger and smaller partners and bring HC’s know-how into this arena. At the moment, this project is in five countries – Czech Republic, Vietnam, India, Indonesia and the Philippines. The goal is to teach the standards to HC’s local staff. Later, those people can work with companies. The tour was a lively two-day affair. The chance to meet so many different people, visit two offices, and see a bank branch in action, offered a great insight into how HC works. The company has proved that it can be versatile and successful. It’s also proved that it has every chance to stay as the “world’s biggest fintech”. As first reported by Banking Technology, there is a newcomer on the UK challenger bank scene, ClearBank. The bank has now gone on the record about its focus and strategy. ClearBank will be a bank for banks, FIs and fintechs, i.e. a clearing bank, offering customers access to UK payment systems and core banking technology to support current account capabilities.